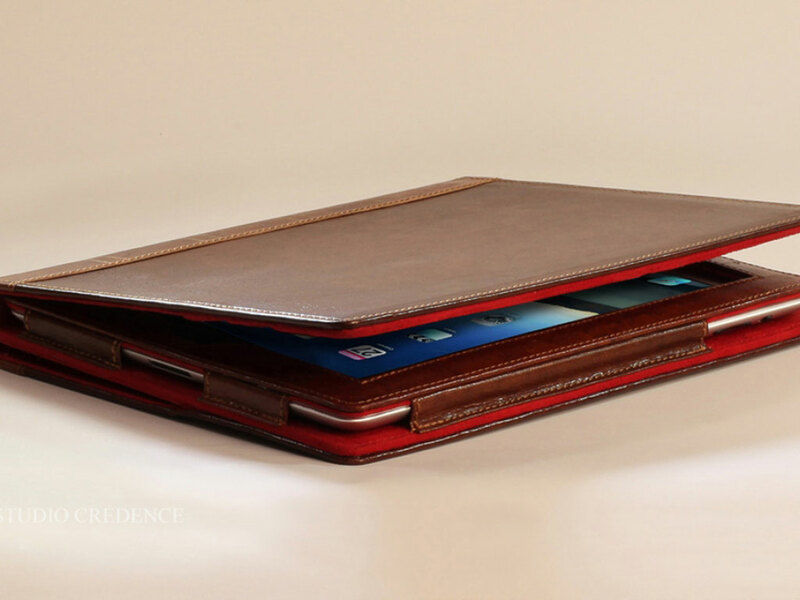 Studio Credence sent us a sample of their take on the now very common iPad case – this one very closely resembles a classic leather-bound book that you may find on a bookshelf of an “old money” household. 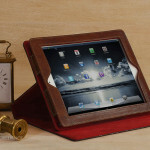 Named the My Pad iPad Case, the My Pad is in fact made with leather and suede, and very snugly fits a 3rd-generation iPad. No, it won’t fit a 1st generation iPad, something I wish more manufacturers would explicitly point out. If you stood up the My Pad case in a bookshelf filled with other leather-bound books, apart from the My Pad text on the spine written in an old English script, you’d be hard-pressed to pick it out easily. The My Pad has all the needed holes and slots for the buttons and rear camera. 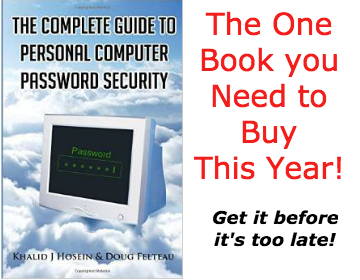 It is also a smart case that includes the hidden magnets to sleep and wake your iPad. One nice included feature is that the case opens up and folds so that you view your iPad at a few different angles in landscape mode – approximately 45º to 65º. The My Pad is well-made and feels sturdy with no stray threads or the like to mention. However, you should know that slipping your iPad into the My Pad results in some significant heft to the total weight. My iPad 3 went from ~1.5 lb (24 oz) to ~2.3 lb (36 oz). 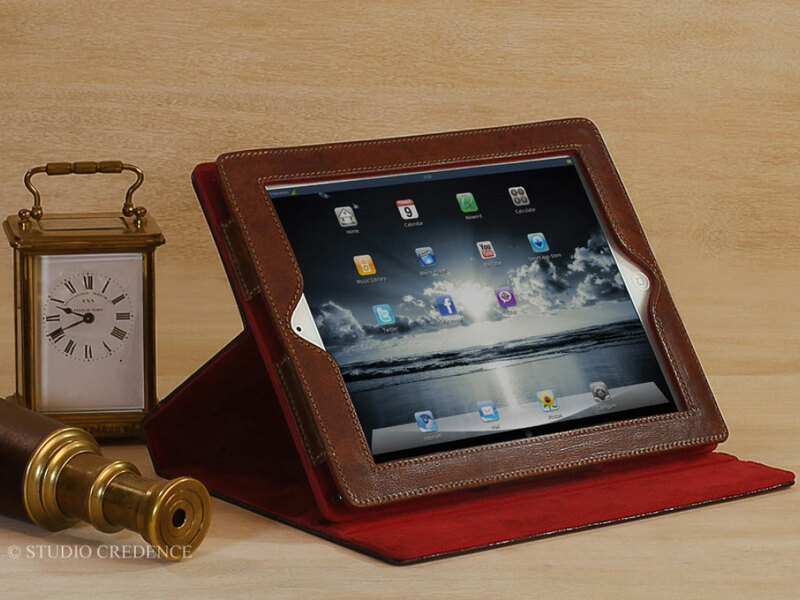 This may be too much to bear, but keep in mind that it also does a pretty good of protecting your iPad. At $99, the My Pad is obviously a pretty niche product, but may suit those who are reluctant entrants to the digital word and want to retain some feel of the traditional, albeit luxurious, way of storing knowledge.